The secret of life (for now) comes courtesy of James Taylor and a prospective landlord I met on my continued search for an apartment. I pulled up on my bicycle, guitar on my back, application in hand and the sun shining down. He was scraping away the dirt and detritus that had accumulated in the sewer grating on the street corner. With all the recent downpours we get this time of year, tiny lakes masquerading as puddles are not an uncommon sight. The man who may or may not turn out to be my next landlord was a very gregarious person. On the phone he'd said he'd be happy to "suffer in the sunshine" until I arrived. He looked up from his work as I arrived and said "There's always something to do!" He proceeded to explain his personal philosophy, how keeping busy and always having something to do or that needs to be done — a variety of good, honest things was my takeaway — helps you sleep at night and makes life richer. Maybe it was presence of the guitar, but then he told me. "You know there's an artist I really enjoy who has a song lyric that really captures that for me. His name is James Taylor and it goes 'the secret of life is enjoying the passage of time.'" James Taylor has a sweet spot in my heart. His music appealed to my pseudo-hippy, pseudo-folky, guitar-picking tendencies in high school. 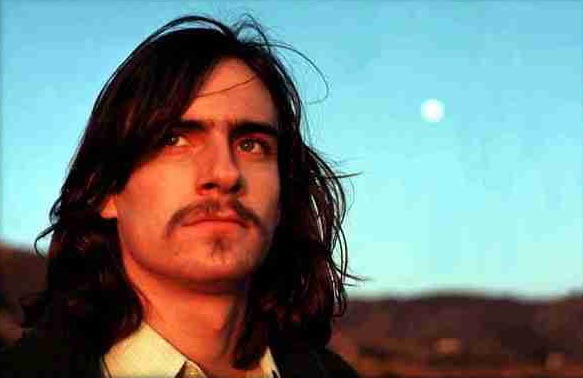 At the time, with my long hair and dark eyebrows we even looked a little bit similar ((At least 1970s James Taylor and 14-year-old me thought so. My hair was decidedly wavier and had to get quite long before it ever started falling straight )). Some of the first songs I learned to play were his. He introduced me to jazz fusion and a whole other world of music that ended up defining a brief stretch of my life all because of one weird little song where John McLaughlin — of all people! ((You know you're an eclectic artist when Miles Davis names a song after you (that you also play on) and you can sit in with James Taylor.)) — happened to sit in on. I can remember the first girl I kissed had a James Taylor song as the backdrop. I even saw him in concert once. Though his music fell pretty steeply into into adult-contemporary/easy-listening before too long I'm not embarrassed to say I like him. But getting back to the secret of life and always staying busy: I think I agree. Or at the very least, I'm willing to prove the theory wrong. For the record, One Man Dog is the best James Taylor album.